Thank you so much for this Freebie. 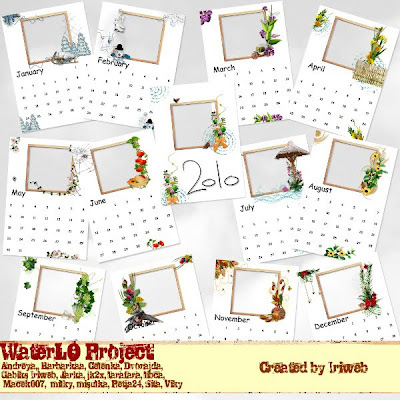 I want to let you know that I posted a link to your blog in CBH Digital Scrapbooking Freebies, under the Page 4 post on Nov. 01, 2009. Thanks again. your stuff is being offered on this web site...http://www.grafamania.net. Great calendar. Thank you so much for this Freebie. But the days do not right. January 1 must be Friday, but you did Saturday. So all months. I hope you will correct these errors. I would be very grateful. Over the past thanks. I hope you will understand what I wrote, because unfortunately I do not know English and enjoyed the translator.